Flickr/United Nations Development Programme in Europe and CIS. Some rights reserved. Reflecting on the relations between the two main communities in Cyprus invariably brings to mind one of the most remarkable Turkish Cypriot figures in history, that of Ali Dervish Gavazoglu. Not because there weren’t other equally significant figures but most likely because of the impression that Gavazoglu had on a ten year old boy way back in 1964-65. The house I was born in was just a few metres from the village centre. The village was called Dhali, 15 km south-west of Nicosia, and is the burial place of Gavazoglu. The meetings that this remarkable Turkish Cypriot was leading at the village centre were impressive to say the least. He managed to gather almost the whole village there with his audience made up of Turkish and Greek Cypriots, left and right wingers, men and women, practically everybody. He was talking about the need to reject the calls for Turkish Cypriots to move into enclaves and that Greek and Turkish Cypriots should stay united. He was talking about how partition or enosis would be catastrophic for Cyprus. And what was even more impressive for the 10 year old kid was that he actually appeared on TV, calling again for all Cypriots to stay united and defend peaceful coexistence. Since that day of course the clock for his assassination started ticking and it was not long after that he was ambushed and killed. On the day of his burial, thousands attended both from Dhali and the surrounding villages as well as Nicosia and elsewhere. The Turkish Cypriot women were crying as if they had lost a member of their family. It was also as if they were crying for what would come next. Following the events of 1964-1967, a lot Turkish Cypriots moved into enclaves. At times of eased tension, contacts between the two communities were at a reasonable level. In villages like Dhali, where relations were not bad, very few Turkish Cypriots had actually moved. More people left after 1974 but quite a few never actually left the village. Nevertheless, Dhali and neighbouring Potamia were an exception. After the war in 1974, and following the Geneva accord, an exchange of population actually took place with just a few hundred Greek Cypriots staying behind, mostly in the Karpasia peninsula, and a few Turkish Cypriots scattered around in the south. From then onwards contact between the two communities became extremely difficult. Telephones were disconnected, crossing to the other side was practically impossible and the only possibility to meet was at the British Bases in Dhekelia and the village of Pyla on the buffer zone. Even then, Turkish Cypriots had to provide a reason for visiting the British Bases area. For people wishing to work towards restoring relations, meetings were mostly organized abroad on occasions of European or International conferences or other events. Possibilities for working together were possible for Cypriots living abroad or among students. At times of hopeful developments for a solution to the Cyprus problem, possibilities for improving contacts were increasing. Remarkable progress was made when the pro solution forces among the Turkish Cypriots gained ground, particularly in the early nineties when CTP headed by Ozger Ozgur participated in government. At the time contacts between professional organizations were developing particularly with the Turkish Cypriot Technical Chamber and the Greek Cypriot Civil Engineers, Architects and other professions. Projects, like the Nicosia Master Plan gradually materialized and had a significant impact. Crossing the dividing line in 1993 - for the first time after 1974 - as part of the working group of Civil Engineers and Architects Association was a truly memorable experience. I had of course had the chance to live and work together with Turkish Cypriots during my student times and also on occasions of events abroad. But crossing over to meet with practically the whole of the technical profession and experiencing their strong desire for a solution and reunification of the island had an overwhelming impact on the whole group. Capacity building efforts of various groups started to be organized first through meetings abroad and subsequently in places like Pyla, but of significant importance was that bi-communal groups started to develop with the British bases. Pergamos and Pilae both became meeting places towards the turn of the century. A wonderful project was the organization of meetings at Pergamos of co-villagers for the first time after 1974. The event organized at Pergamos attended by hundreds of Turkish and Greek Cypriots from Dhali was a truly memorable event. Equally remarkable initiatives were the formation of the bi-communal choir and other cultural groups as well as meetings and events organized by trade unions and others. At around the turn of the century, the historic mass mobilizations of the Turkish Cypriots began to peak with the formation of the Platform “This country is ours”. The various Greek Cypriot groups who were engaged in bi-communal activity started making attempts to join forces with the Turkish Cypriot Platform in order to enhance the reconciliation process. The first attempt was made by the Civil Initiative for Solution and Reunification, and a couple of years later, at the beginning of 2003, the “Solution Now” Platform was set up. Efforts were being made to organize parallel events across the divide: exchanging messages, letting balloons float across the dividing line and much more. But real change came with the opening of check points in April 2003. The whole process changed dimensions. Masses of people went across, old friendships were revitalized, the dark side of the moon was revealed for many people for the first time. The centre of bi-communal activity was immediately shifted to the Nicosia buffer zone at Ledra Palace. The “Solution Now” Platform became bi-communal and efforts started immediately to coordinate activities with the Turkish Cypriot Platform. Our first meeting in North Nicosia was an experience in itself. The meeting with “This Country is ours” was attended by most Turkish Cypriot Trade Unions full of energy and passion to see an end to the division of the island. Equally warm and passionate was the meeting at the Turkish Cypriot Chamber of Commerce and related organizations. Very soon the Ledra Palace buffer zone was, for the first time ever, the area of bi-communal mass gatherings for peace and reunification. Of great symbolic significance was the vigil organized on the buffer zone in July 2003 in memory of the victims from all communities – an event well attended from both sides held in a moving atmosphere. Since that July of 2003, every year during the summer when the governing rhetoric on both sides keeps building the wall of separation, the bi-communal movement comes together to talk about the violence of the past, remember and honour the victims on both sides of the divide and pave the way to reconciliation. The process of seeking the truth about this violent past is probably the most powerful tool for building reconciliation. The opening of the check points in April, 2003 started an unprecedented process: the relatives of the missing persons from both sides of the divide started crossing the dividing line in search of information for the fate of their relatives. The work of journalists working on the issue and spaces created by bi-communal activities provided the opportunities for relatives of the missing from both sides to meet and exchange experiences and information. Very soon these people identified with the pain of each other and remarkable friendships formed. Sometime in 2006, Turkish and Greek Cypriot relatives of the missing and other victims of war came together to form the “Bi-communal Initiative of Relatives of Missing Persons, Victims of Massacres and other Victims of 1963-1974 events” later called “Together we Can!”. It was a ground breaking development. The victims of the massacres and atrocious crimes from both sides were coming together to challenge society to stop using their pain to enhance nationalism but face the realities of the violent past and work so that no families in the future will again have to go through the same trauma. In a revealing piece of research by Aris Sitas, it was concluded that people’s attitude towards reconciliation and compromise to reach settlement is linked to how they have been affected by the conflict. Those that have been worst affected through the loss of life are the most positively oriented towards reconciliation and compromise. This is exactly what the Initiative of the Relatives of the missing shows. From meeting to meeting, in gatherings of the missing from both communities in villages, towns, schools and elsewhere this is being proved time and time again. The relatives of the victims through sharing of their experiences, through identifying with each other’s pain, easily blend together forming strong bonds, thus constituting a catalyst for reconciliation. In July 2009, at the yearly commemoration event at the Ledra street check point, the Bi-communal Initiative of Relatives of the Missing along with the rest of the bi-communal movement honoured Greek and Turkish Cypriots that helped save the lives of people of the other community, sending very powerful messages across dividing lines. Among them, Christofis Poseidias who protected the women and children of Dhali in July and August of 1974. And through him people in Dhali that helped protect the Turkish Cypriot men held in custody that were about to be executed by a certain Greek officer. The powerful bonds of the past in this village managed to save lives. On the following year the bi-communal movement in an event at the Peace Park of Kontea - itself a result of a bi-communal project - honoured Greek and Turkish Cypriots that provided information for burial sites of the missing persons of the other side. By now a large number of missing persons have had their remains found through information from common people. In 1964 Michalakis Solomontos from Dhali, father of four children, went missing. It was a shocking incident at the time, in an atmosphere of rising nationalism. Last June the remains of Michalakis were identified and handed over to the family for burial. At the funeral the eldest son in his memorial speech warmly thanked investigative journalist Sevgul Uludag and other Turkish Cypriots that helped to trace the burial site. They received a warm and lengthy applause. People are indeed ahead of their leaderships. Despite the difficulties on the negotiating table, despite the disappointment of the masses of Greek and Turkish Cypriots, still the bi-communal movement is growing with a large base of small or larger groups with the Home of Cooperation on the Ledra Palace buffer zone being a valuable contribution. 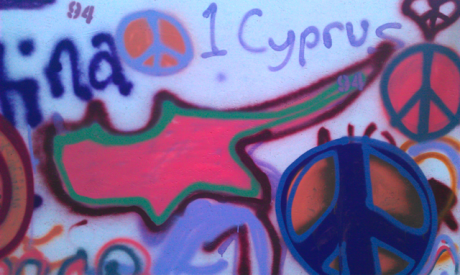 Since late 2009 most organizations on both sides of the divide working for a reunification of the island have joint forces under the Bi-communal Peace Initiative “United Cyprus”. The Initiative brings together more than 50 or so organizations, Trade Unions, bi-communal groups, professional organizations, writers and artists, cultural groups and others. Despite the large number of organizations and despite the diverse character of all the groups it is remarkable that people have learned to look at the forest rather than the tree. We have all joined forces for a major cause, that of the solution of the Cyprus problem, for the reunification of the island, for reconciliation and peace. Our differences come second to that. This July the bi-communal movement has announced its intention to work with artists from both sides to develop a common monument honouring the victims of 50 years of intercommunal conflict and war. The announcement has been very well received by society. On 1 September, the day of action for peace, Greek and Turkish Cypriots will join hands in a human chain connecting the Eleftheria square via Ledra street crossing the dividing line to Kyrenia Gate in the North. Peace and reunification are too precious to leave it to the negotiators!